Polo Beach is our #1 thing to do in Wailea! It is a little gem of a beach park, a perfect place to cool off with a nice swim or even snorkel with sea turtles and see fishes unique to Hawaii. The sandy beach is a gentle slope, so this means it is easy to get in, and out of, the ocean. If you are a certified diver, you (and your dive buddy of course) can rent dive gear and dive a little deeper, exploring the nooks and crannies of the living stony coral reef that is home to fishes, shrimp, octopus, and other fascinating marine organisms. If you have ever wanted to try boogie boarding, this beach is a great place to learn for both the young and old. There are multiple ocean activity rental options so be sure to rent your gear before heading out for the day. Ask about multi-day rental packages to avoid having to cut your fun short or just in case you want to keep your adventure going. Since Hawaii is thousands of miles away from anywhere else, at least a quarter of Hawaii’s fish species can only be seen here! 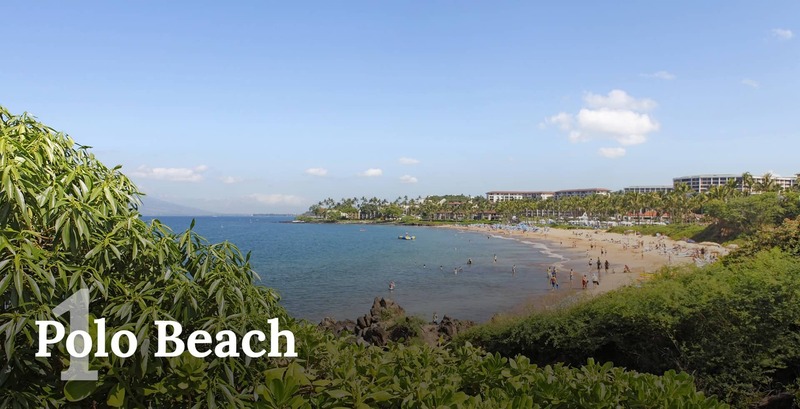 Polo Beach Park is located at the end of Kaukahi Street behind the Fairmont Kea Lani Hotel. The parking lot seems to always have space and there are many large trees that provide valuable shade for the vehicles parked there. Just steps from the parking lot is a grassy area with a couple picnic tables as well as lawn to lay out a picnic blanket if that’s more your style. Located conveniently between the picnic area and beach is a bathroom and showers. The nene is Hawaii’s state bird and is a goose found only here in Hawaii. 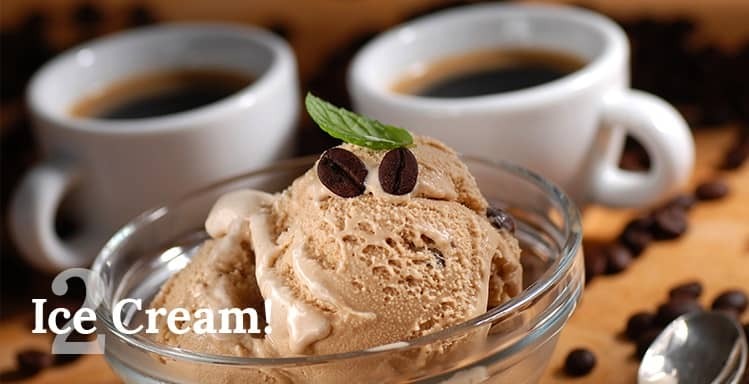 Refuel with a coffee and/or ice cream from family owned Lappert’s Hawaii located in the Shops at Wailea. This little shop serves a premium product that will have your mouth watering from the aromas of brewed coffee and freshly baked waffle cones, even before entering. They serve Hawaiian grown coffee from their favorite farmers that they can blend with other superior coffees to give their coffee unique edge. For this company, coffee is a passion. Their hand-made waffle cones will eventually be filled with such flavors as coconut macadamia nut fudge, Kona lava java, coconut pineapple, nene tracks, or their famous Kauai Pie. If a delicious sorbet is more what you’re craving, try the hayden mango, auntie lilikoi’s passion fruit, or lychee flavors. Visiting Makena is a must if you’re on Maui’s South shore. Further South past the resort and golf communities of Wailea is a quieter, more rural area called Makena. The popular beach duo, Big Beach & Little Beach are part of Makena State Park. Big Beach is also called Oneloa Beach and is a large white sandy beach, perfect for an early morning beach run, catching some rays, playing a little beach volleyball or even building a sand castle. At nearly a mile and a half long and about 100 feet wide, there is enough space for everyone. The water is beautiful here and there is some good snorkeling; however, the shore break must be respected. Watch the waves, never turn your back to the ocean and if the swell is too big, stay out of the water. There is a popular saying here: “when in doubt, don’t go out.” In most places on this beach, there is a steep slope so enter and exit the water carefully. There are warning signs posted by the lifeguard at this beach so if you are definitely getting in the water here, it may be a good idea to stay close to the life guard station. On the North end of Big Beach is Pu`u Ola`i, a cinder cone created when Haleakalā erupted long ago. For the sure footed adventurer, there is a short trail that will lead you over the cone and in just a few minutes, you will find Little Beach. Pack away anything you may be carrying in your hands because you will need both hands for the trail in some places. Little Beach is a nice hidden beach for those who prefer their birthday suit over a bathing suit, but everyone is welcome! Keep following Makena Road for a few more miles through the dry desert scrub brush landscape, dominated by the kiawe trees, and eventually the landscape changes to a wide expanse of dry, black jagged lava fields. When the road ends, you will arrive at gorgeous La Perouse Bay. This is area is home to Maui’s newest lava flow that occurred around 250 years ago. The jagged lava rock field may be appealing for some to want to explore but it is important to not get off the trail. There are culturally significant areas as well as your safety to preserve so please follow the signs. The jagged rocky lava is called ʻaʻā lava maybe because it is the sound you make when you walk over it barefoot. The Kings Trail, also called Hoapili Trail is almost 13 miles long and is an ancient Hawaiian trail made up of lava rocks. If you have sunscreen, hat, plenty of water and shoes, the first 2.5 miles are a wonderful way to explore the lava field. This is not an easy hike because of the lack of shade and uneven ground so be sure to be prepared. Kanaio Beach is the suggested turn-around for day hikers. If hiking isn’t in the cards, then just enjoy the views, tide pools and if you are lucky you may see the resident pod of spinner dolphins that cruise the coast line. In the 16th century King Pi’ilani of Maui commissioned the building of the King’s trail, encircling the island and uniting all the independent chiefdoms and villages. The trail took many years to build by hand and is traced by today’s roads circling the island, including the road to Hana. Happy Hour at Monkey Pod Kitchen in Wailea is definitely not a hidden secret but it’s a great place to chow down on half priced appetizers and discounted pizzas. They also have drink specials and with 36 microbrews and amazing handcrafted cocktails, there is definitely something for everyone. Try their Monkeypod Mai Tai; it’s a refreshing improvement from the classic Hawaiian cocktail. The food and drinks are island inspired, using as many local ingredients as they can. The ambiance is a simple, casual and tasteful take on the industrial and plantation styles of Hawaii’s recent past. It’s a great place to chill out with friends or go with the whole family. Looking for a way to connect with Maui in a different way? Try a class at the Maui Yoga Studio, from beginner to the well practiced yogis, everyone is welcome. After a day of snorkeling, hiking or even shopping, their evening restorative yoga sessions will gently wash your stress away and get you ready for a new day with a new adventure. They are an environmentally mindful using eco-friendly methods to heat their hot yoga classes and encourage you to use one of their Maui Yoga Mats, made with natural tree rubber, if you need to borrow a mat. 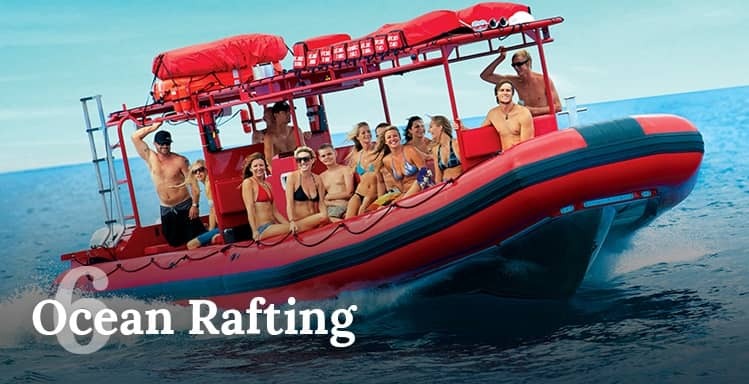 Get out on the water with Redline Rafting. 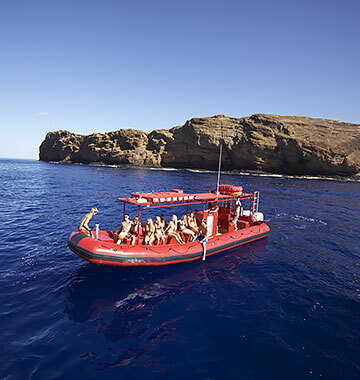 Not only is rafting a more adventurous way to explore the coastline, it is more fun and there are fewer passengers too! 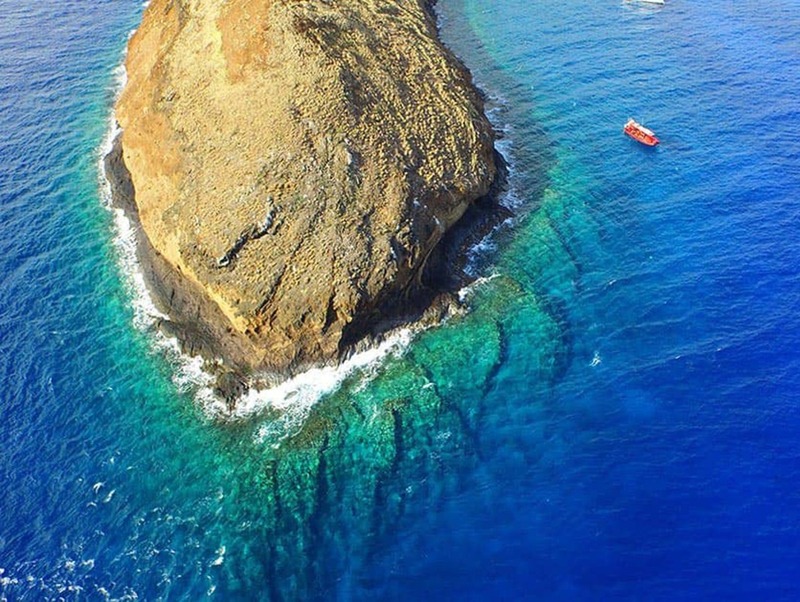 Molokini Crater is a short boat ride from Maui’s Southern coast and is famous for its consistently clear water. You can easily see the bottom from the comfort of the boat but be sure to jump in. Snorkeling at Molokini is incredible and when you swim closer to the coral reef, it’s like you are swimming in the most amazing aquarium you may ever see. 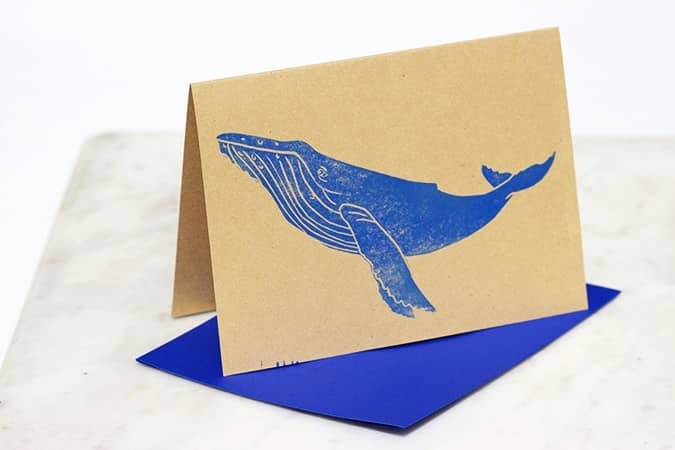 If you are visiting from January through mid-April, you will definitely want to go whale watching. 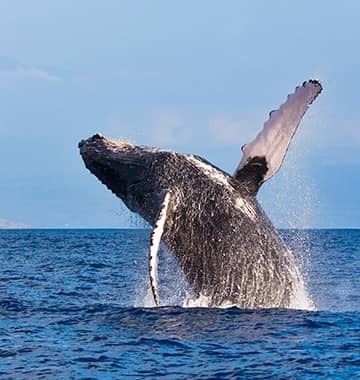 Maui is a hot spot for the North Pacific Humpback Whales and during the peak of ‘whale season’ there are hundreds of whales in the area. You have to close your eyes to not see whales. 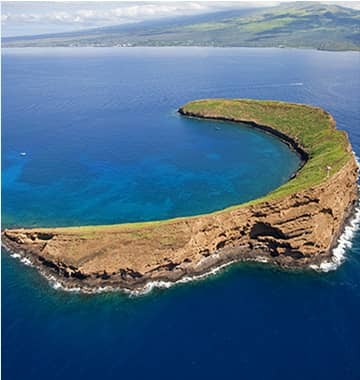 An ancient Maui legend describes Molokini Crater as the tail of a mythical Mo’o (lizard) cut off by the volcano goddess Pele. The head of the Mo’o is the cinder cone (Pu’u Ola’i ) at the north end of Makena beach. 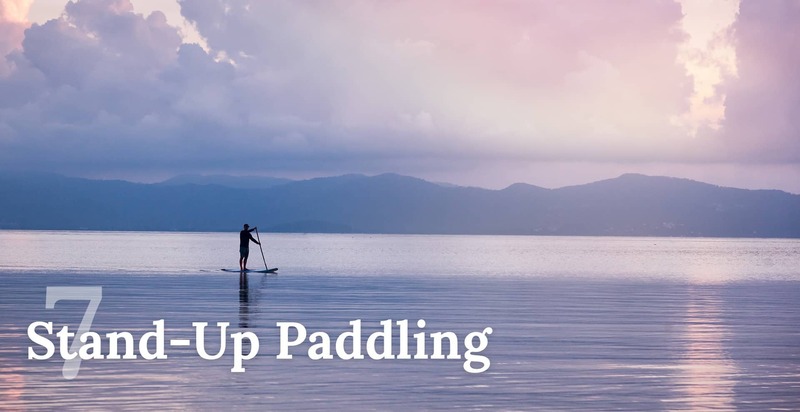 Stand-Up Paddling, or SUP, is the fastest growing water sport because it can appeal to anyone of any age and can be done on the ocean, lake or river. You can rent these oversized surf boards from most surf shops and if this is a new activity for you, be sure to ask the surf shop for some tips on how to carry and use the equipment. It may seem simple but there is a right and wrong way, or you could say, an easy or difficult way, to use the gear. Besides, you don’t want to look silly now do you? Launch them from the nearest sandy beach and have a blast sight seeing from the peaceful Pacific ocean. If you can transport the boards, I recommend launching from Makena Landing because of the incredible marine life and thriving coral reef that is just off shore there. Either way, if you take your snorkel & mask with you (leave your fins on shore); you can hop in, cool off, and see what marine life is cruising around beneath you then hop back onto your board and keep cruising. SUP is a great core workout so in addition to having fun you are also getting a bit of a workout too, making that post-SUP cocktail or other preferred beverage that much more earned! 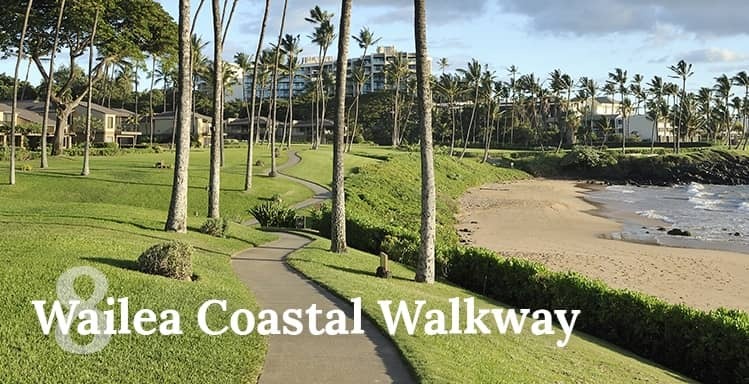 Strolling along the Wailea Coastal Walkway at sunset is a nice way to wind down after a perfect Maui day and see 5 of some of Maui’s best beaches. The beautiful late afternoon glow will make the breathtaking landscape even better. On the makai or ocean side of the path beyond the snorkelers and beach goers, you will see the neighbor islands of Kaho`olawe and Lanai as well as the Southwest coast of Maui. On the mauka or mountain side of the trail, you will stroll past a string of resorts in case you need a break or refreshments. Much of the path is paved and if you walk the entire length it is about 1.5 miles from one end to the other. Maui county is made up of four of the eight main Hawaiian islands: Maui, Kaho`olawe, Lanai, and Molokai. During the last ice age some 2 million years ago these islands were all one large island labeled today as Maui Nui (greater Maui). 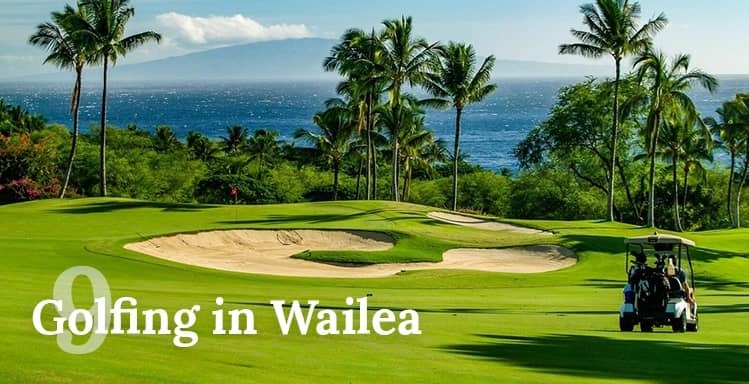 Wailea has three of Maui’s premier championship resort golf courses. With little wind or rain on this dry side of the island the conditions are ideal for a great round of golf with amenities that are world class. Keep in mind that the area’s dry conditions can become hot and draining in the afternoons – luckily there’s ice cold water bottles provided in all built in cart coolers! The Gold and Emerald courses are served by one clubhouse with stunning ocean views of Molokini Crater and Kaho’olawe Island. The restaurant here makes for a wonderful after round lunch or beverage with world class fine dining in the evenings served by one of Maui’s most well known chefs, Bev Gannon. The Blue course clubhouse includes a wonderful Irish Pub called Mulligans On The Blue and features great food and beer with an impressive nightlife scene of live music including Uncle Willie K’s Hawaiian music dinner shows! The Blue course is Wailea’s first golf course built in 1972 by Arthur Jack Snyder. This era produced a large and expansive layout of lush fairways, lovely lakes, coral sand bunkers and large greens on this par 71 course. Solid tee shots will get you great looks at the greens but pay attention – a shot to the front of a green with the pin back could leave you with an 80+ foot putt! Be sure to get some practice putting in before playing any of Wailea’s courses as the grain is everything out here. Putts can even break up hill with the grain! 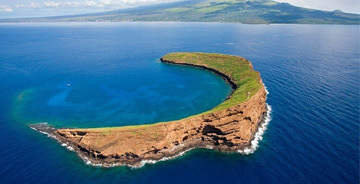 of Molokini Crater are also in the design, so bring your camera! As the shortest of the three Wailea courses, the Emerald course is no slouch when it comes to shot making. Designed to be enjoyable for almost every skill level, the course has four to six tee boxes on each hole, allowing golfers to tailor the course to their skill level. Golf for Women Magazine awarded 7 Top Fairways Awards to this course for the country’s most women friendly golf courses. The Hawaiian outrigger canoe is at the heart of Hawaii’s polynesian culture. 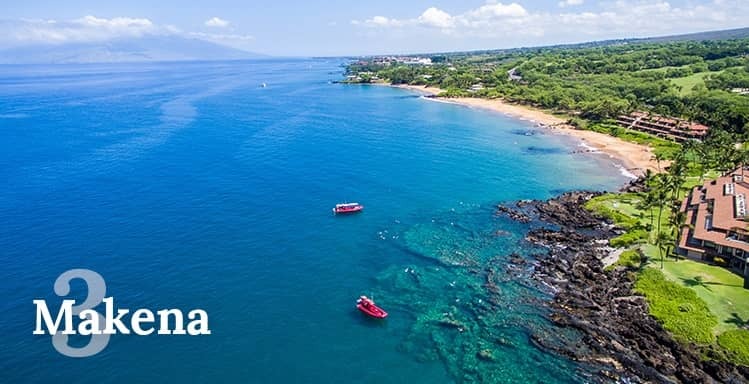 Wailea is the perfect location to take an outrigger paddling tour with it’s calm waters, minimal winds and amazing reefs with stunning views of the slopes of Haleakala volcano. The ocean waterway between Wailea and the offshore island of Kaho’olawe is called Kealaikahiki Channel and refers to the currents of the polynesian highway between ancient Honua’ula (today’s Wailea) and Tahiti using celestial navigation of wayfinding reading the stars, birds, winds and waves to travel over 2000 miles to the southern islands. 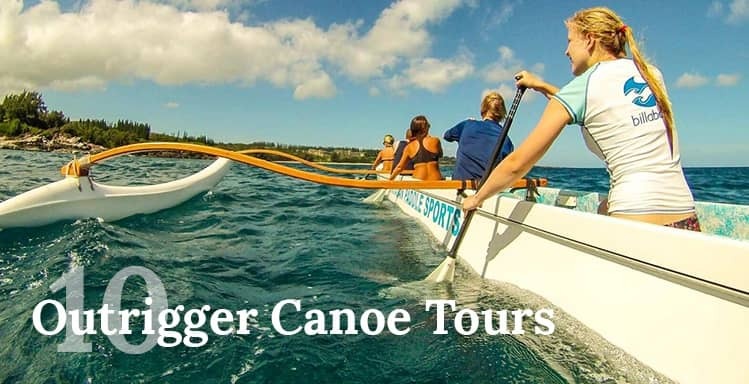 Almost every resort in Wailea offers an outrigger canoe tour from the beaches with other companies offering tours from nearby locations such as Makena Landing. 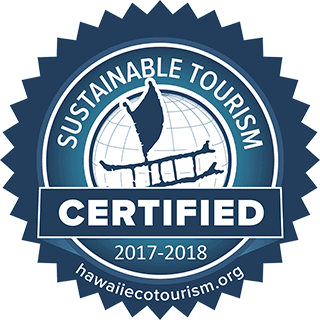 There a few better ways to learn about the Hawaiian culture while getting up close and personal with sea turtles, dolphins, whales (in the winter months) and even occasional Hawaiian Monk seals!